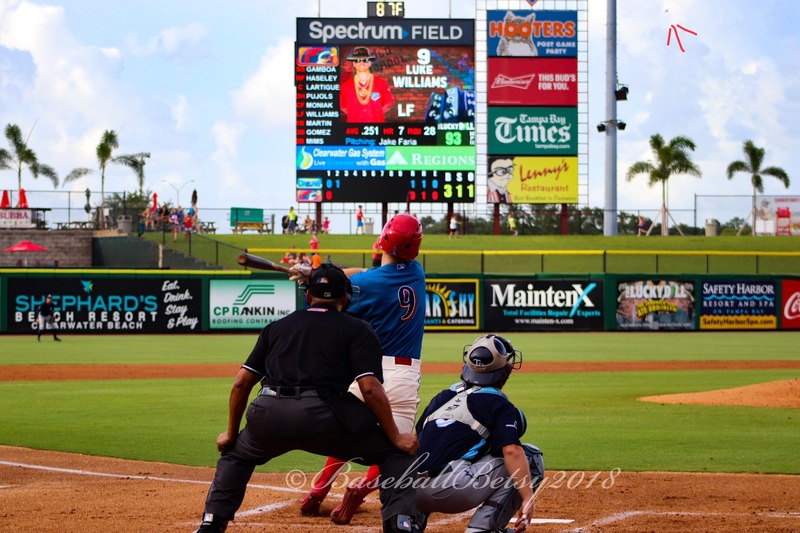 Which Phillies Prospects To Watch In The Arizona Fall League? The Arizona Fall League has issue preliminary rosters. The Phillies are sending pitchers Luke Leftwich, Seth McGarry, Sixto Sanchez and Tyler Viza, shortstop Arquimedes Gamboa, first baseman Darick Hall, corner infielder and outfielder Austin Listi and super sub Luke Williams. They will play for the Scottsdale Scorpions. All I can say about several of the guys,”this is their last chance”. Several of them will be Rule 5 eligible if not put on the 40-man roster. Leftwich, McGarry and even Gamboa fit this category. 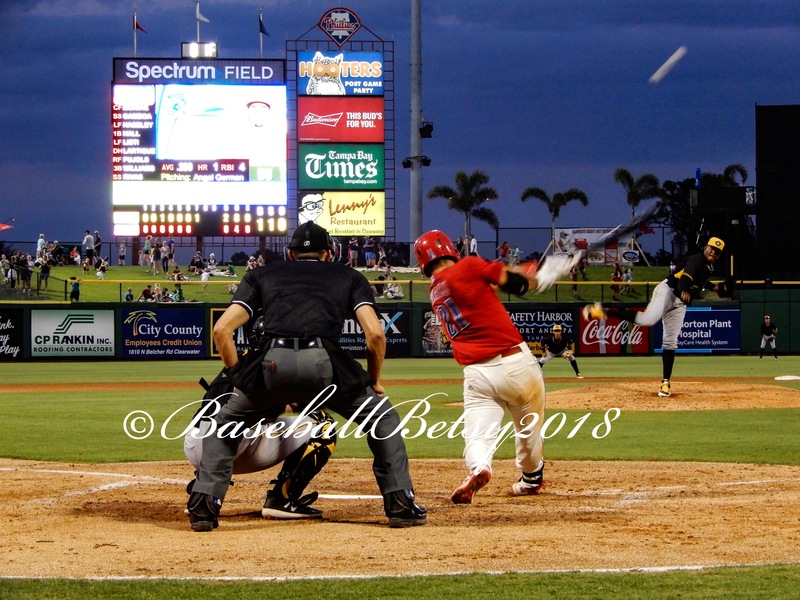 The two pitchers did not show much in Reading and Gamboa’s batting average kept heading toward the Mendoza line as the season went along at Clearwater. Gamby started the FSL season hitting .261 in the first half and is hitting just .171 in the second half. He just got worse at the bat as the season went along. The only thing he has going for him is that he will be only 21-years-old next month. He did come to life in the just finished Jupiter series by going 7 for 17. The pitchers to watch are Sixto Sanchez and Tyler Viza. 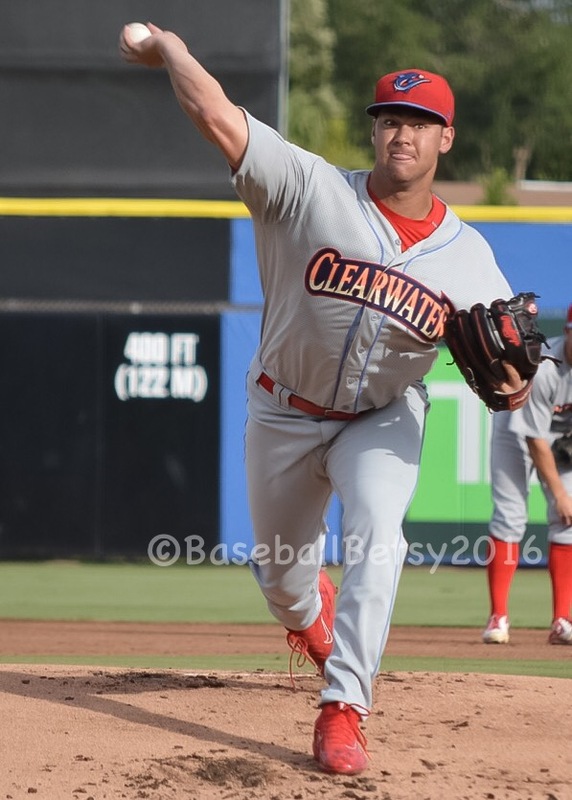 Sanchez has not pitched since a reported elbow problem after his four best pitched games of the season for Clearwater ending on June 3rd. In those four starts he had allowed just two earned runs in 25.2 innings. He finally was averaging better than a strikeout an inning with 29. Then he was shut down for the rest of the FSL season. So the jury is still out on Sanchez because of his elbow. The pitcher I will be watching closely is Tyler Viza. 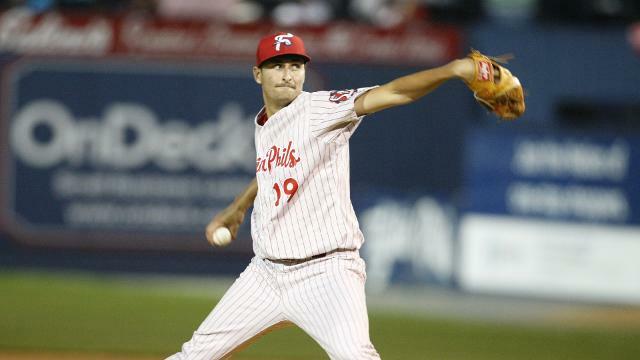 Now in his sixth season pitching in the Phillies system, he was passed over in the Rule 5 draft last December. He will not be passed over this December. Here is why Viza will be on a 40-man roster somewhere: in his ten starts in the second half for Reading he has pitched to a 3-1 second and a 2.18 ERA and most importantly a 1.09 WHIP. He has not allow a home run in his 57.2 inning as a starter. In his last start he pitched a seven-inning shutout, striking out 11 with no walks. Two players, Luke Williams and Austin Listi, are not Rule 5 eligible but are interesting prospects. Williams just turned 22-years-old and had a breakout year of sorts with Clearwater. He had a big month of June hitting .333 and a .973 OPS with six home runs. He trailed off in July and August but still hit .255. He could be a super sub. 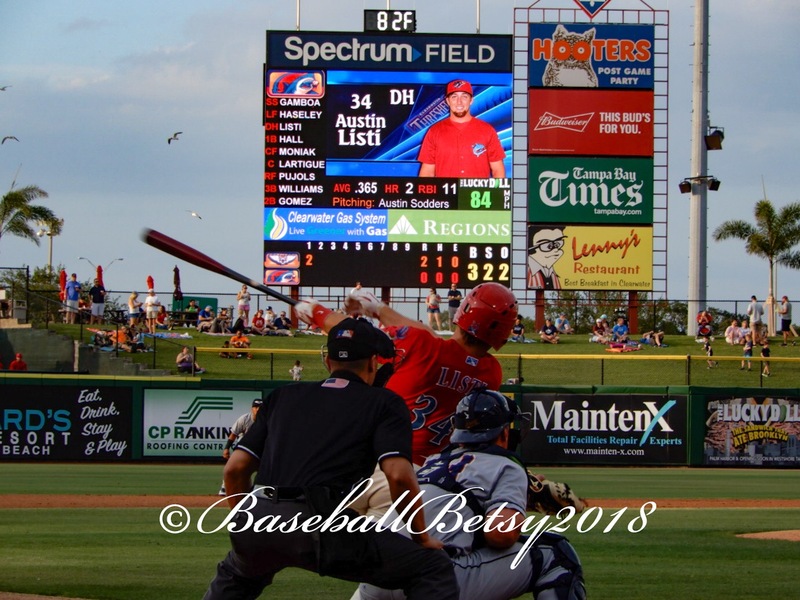 He started at every position except pitcher, catcher and shortstop this season for the Threshers. It they had such an award Austin Listi would win the most improved Phillies minor league player of the year. Listi hit only .262 with Williamsport and Lakewood in his first season after being drafted in the 17th round out of Dallas Baptist in 2017. He is older than most players going to the AFL turning 25 in early November. But this guy can hit and hit with power. Almost equally divided between Clearwater and Reading in 119 games this season, he is hitting .319 with a .930 OPS. He has hit 18 home runs equally divided between both teams and has played the infield and outfield corners. 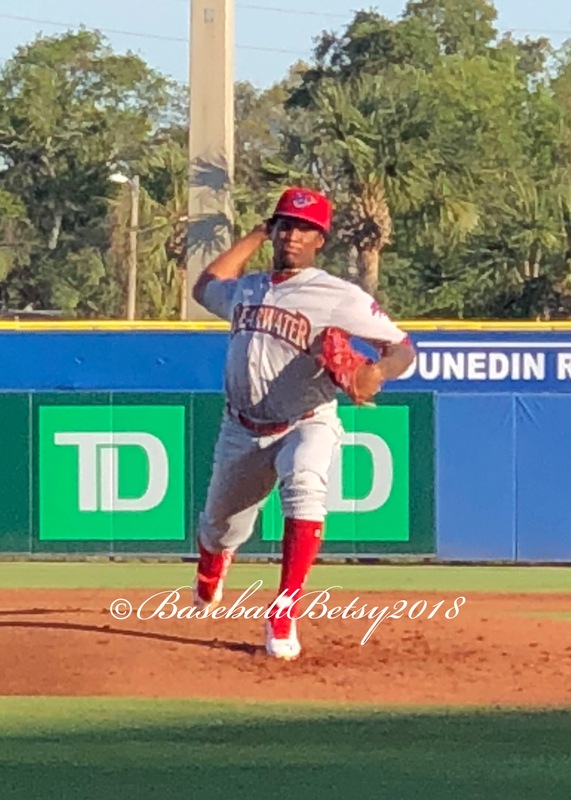 So there is my quick run down on the Phillies prospects heading to the AFL which starts with the first game on October 9th. I will be watching closely Tyler Viza, and the Dallas Baptist boys Austin Listi and Darick Hall. The Phillies contingent usually can be seen getting ready for the AFL sometime during the three weeks of Fall Instructs which usually opens two weeks after the Labor Day weekend at the Carpenter Complex. 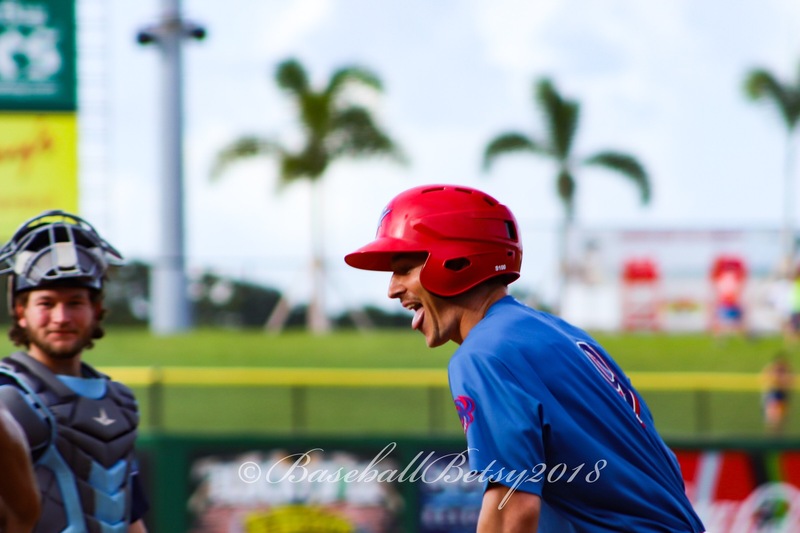 This entry was posted in 2018, August and tagged Arquimedes Gamboa, Austin Listi, Bseball Betsy, clearwater Threshers, Darick Hall, Luke Leftwich, Luke Williams, Philadelphia Phillies, Phillies 2018 Arizona Fall League Prospects, Reading Flightins, Seth McGarry, Sixto Sanchez, Tyler Viza. Bookmark the permalink.